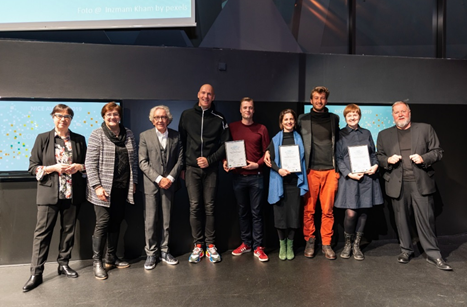 Meet the NICE award winners 2019! This year’s NICE award`s priority “Internalisation for a better world – a call for transformative innovations” called for stakeholders from the cultural and creative sector to propose noteworthy inventions and experimental approaches that address major challenges of today’s world such as climate change, resource scarcity, digitisation, mobility, energy and migration and propose transformative solutions for shaping an international society to improve our world. Under this call 55 applications from 19 countries were submitted, which resulted in a shortlist of 8 projects, that were presented during the NICE Award Dinner and Ceremony on 12 February 2019 in Dortmund and welcomed by Dr Stefan Holthoff-Pförtner, Minister of Federal and European Affairs and International Affairs of the State of North Rhine-Westphalia and Karola Geiß-Netthöfel Regional Director of the Regional Association Ruhr (Regionalverband Ruhr, RVR). The NICE Award of 20,000 Euro is financed by the Ministry of Economic Affairs, Innovation, Digitalization and Energy of the State of North Rhine-Westphalia and the cities of Dortmund, Bochum, Essen and Gelsenkirchen. This year’s NICE Award was rather special to us, since it was combined with another big event hold by ecce, the 6th Creative Industries Dialog NRW 2019, that took place on 13 February 2019 in Dortmund, exploring “The Future of Creative Industries: The BREXIT and its consequences in Europe” with around 80 international experts and stakeholders from different creative and cultural sectors. The international audience was welcomed by Jörg Stüdemann, Municipal Director of the City of Dortmund; Michelle Müntefering, Minister of State for International Cultural Policy at the Federal Foreign Office and Karl-Uwe Bütof, Head of Department “Innovations and Markets”, Ministry of Economic Affairs, Innovation, Digitalization and Energy of the State of North Rhine-Westphalia. As you see, February was a rather intense month for us, that not only once more strengthened international contacts with stakeholders from the creative sector, broadened the network of NICE Alumni and inspired new cooperations, but also initiated intriguing debates and thought-provoking impulses regarding the approaching Brexit, its unpredictable consequences for creative branches but also inspiring solutions and strategies to deal with the challenges to come. 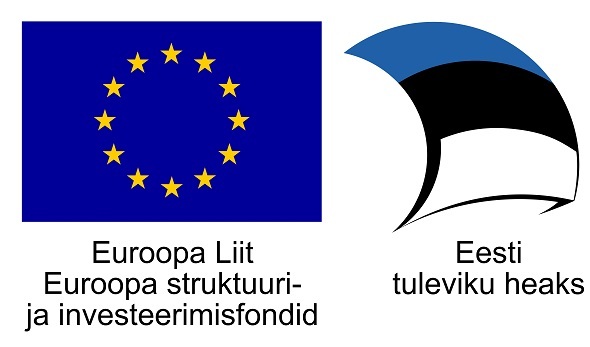 However, we should keep thinking European, it never was as important as now and to that end, we would like to introduce you to our new team members Katharina Friesen and Justyna Lubecka, who are in charge for the field Europe and expansion of European cooperations as well as for the NICE network from now on. ‘The Fair Grounds’ is a project by media art collective DROPSTUFF MEDIA, consisting of a collection of artworks where amusement rides are presented as art installations. A new artistic or social narrative has been added to pre-existing attractions and old forms of entertainment have been updated with new technology. The result is a fairground where forms, colours, smells and voices tell stories in new ways; popular culture meets high tech and high art! The goal of the project is to grant access to rapid technological and creative changes to a wide audience that doesn’t necessarily have access to that. Finding common grounds in times of heavy polarization. Where ‘inclusive’ replaces ‘exclusive’ inside the cultural sector. Find all NICE Applicants from 2019 here.